Exclusive Winter Olympics Promotion – Win a PS4 Pro! BestVPN.com Exclusive Promotion with ExpressVPN – the #1 way to Stream the 2018 Winter Olympic Games from anywhere! The 2018 Winter Olympics are almost here and we hope everyone is as excited as we are! 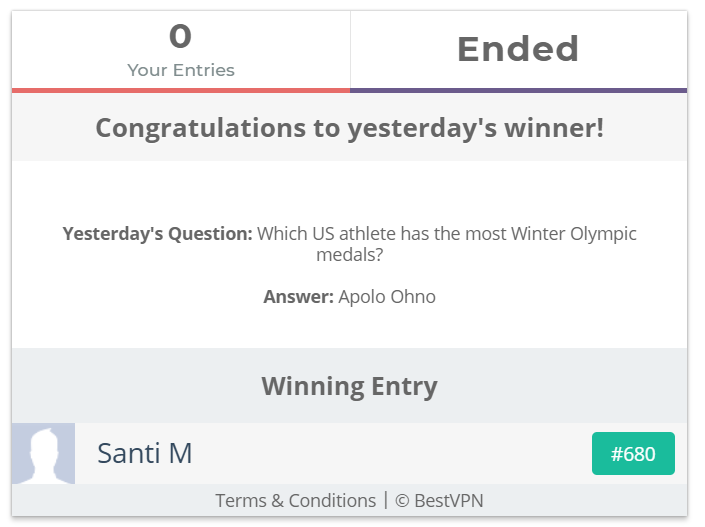 To join in on the fun, BestVPN.com is exclusively pairing up with ExpressVPN to celebrate this year’s Winter Games. The grand prize? A brand new PS4 Pro! 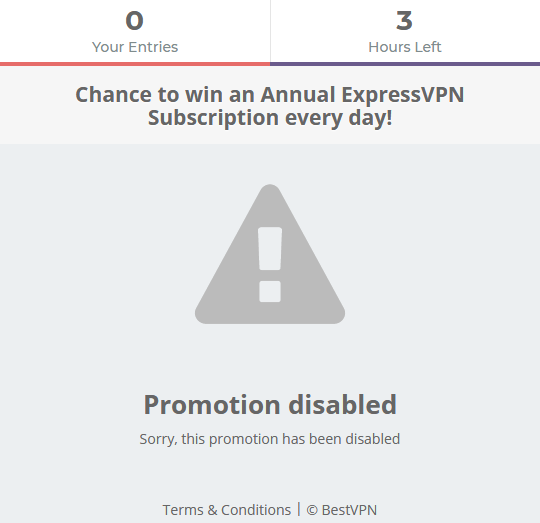 Participants also have 25 chances to win a 1-year ExpressVPN subscription- totaling $2,500 in value! Check out the details below to find out how you can win. from 1st February till 25th February. Its gonna be 1 each for everyday for 25 days? Edit: Nope a month long contest now. I managed to catch the page when they were updating & the gleam widget had this event due to start in 25 mins. 1 winner every day? It would be nice to post here captions with the winners everyday as they quickly remove them. Yes, I managed to catch todays winners name. Its a bit weird, they had the widget competition running for 28 days? I will try to post screenshot of the Daily winners. The widget says promotion disabled?